Galvanized Steel J-Hook & Eye Bolts. 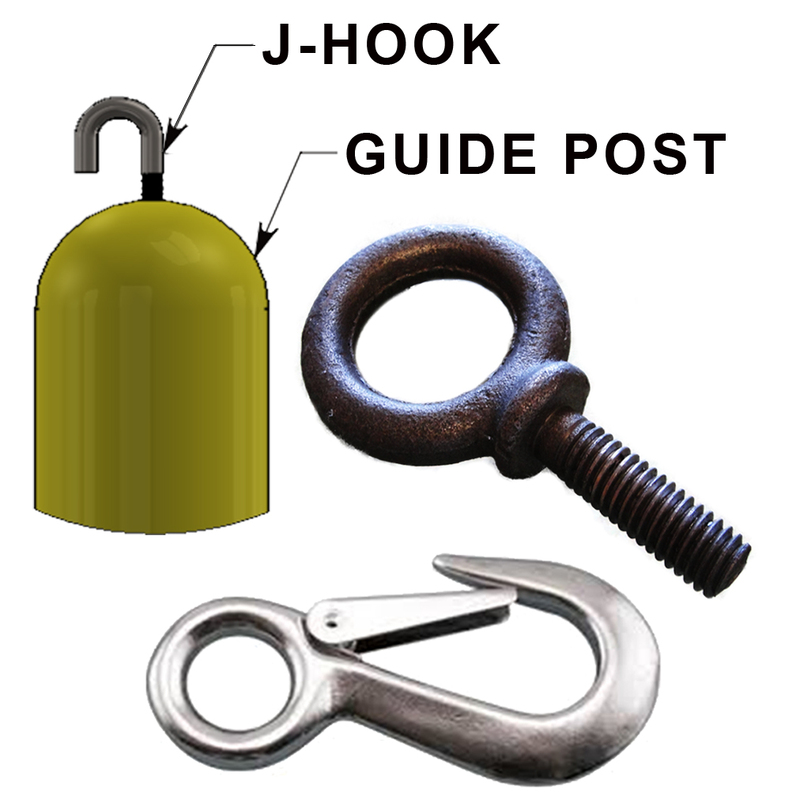 Clamps & Hooks | Used for Attaching Rope & Chain to Posts. Galvanized steel J-bolts and eye bolts are designed for attaching safety chain & rope to Concast's 8005 series guide posts. No attachment hardware is required with the J-Hook. Eye bolts require S-hooks or snap clips. Hardware for the reflective rope can be seen in the chart below.